when can you file taxes 2015? If you like to file your taxes early and then chuckle at all the procrastinators who wait until April 15 nears, your day of reckoning is getting close. The earliest day the IRS will begin pro cessing 2014 individual tax returns is Jan. 23, 2015, a date slightly later than usual due to congress not passing tax related laws earlier in 2014. This date can be found on our 2015 Tax Schedule. A reminder this delay will not be until October 2015 as previously reported on a fake journalism website. 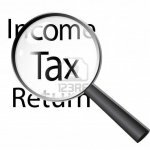 Tags: 2015 Tax Season, Tax Dates, Tax Schedule, Tax Season 2015, when can you file taxes 2015?